Chai tea originated in India more than 5000 years ago and now is a mainstay in daily Indian life. Legend has it that the brew was created by a king in an Indian court who used a variety of spices known to have healing properties. The king varied the type of spices he used to make the tea, depending on the ailment he was trying to address. If there is truth to this legend, then that may explain why there are many different recipes and they vary by Indian town, neighborhoods and households. Black Tea: Use a strong, full bodied black tea blend. It is best to make the brew with tea leaves, as opposed to tea bags, for greater freshness, taste and aroma. Darjeeling, Assam or a full bodied Ceylon tea are popular varieties. Spice Mix: The base for most mixes include whole or crushed cloves, crushed and grown (just before use) cardamoms and cinnamon. Additional ingredients may include fresh grated ginge), peppercorns, fennel and star anise. Milk: Use whole or skimmed milk, based on your preference. In some parts of Asia, a combination of skimmed milk and/or evaporated and sweetened condensed milk is used. The evaporated and condensed milk give the tea an extra milky flavor. The sweetened condensed milk can also be used as a substitute for sugar. To make chai, the spice mix is immersed in boiling water and simmered for three to five minutes. Then, the tea is added to the spice mixture and the water is brought to a gentle boil for 10 minutes. Milk is then added and allowed to simmer for another five minutes. The tea is then strained into a teapot and sweetened to taste with sugar or honey. 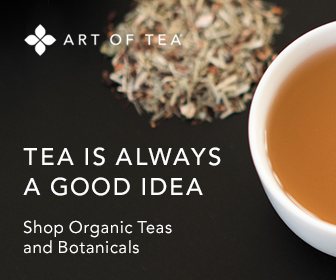 Click here for a variety of different ways to make this tea: Spiced Tea Recipes. In addition to the health benefits of tea, the ingredients that comprise the spice mix are thought to have a historical, holistic basis for offering health benefits. Though, these beneficial properties have not been medically proven. Therefore, always seek the counsel of a healthcare provider before consuming tea to address health concerns. Cloves -- Used in Ayurvedic medicine as an analgesic, cloves are most often used to soothe toothaches and remedy halitosis. It also has antiseptic qualities, and can be used to kill intestinal parasites, fungi, and bacteria. Coves have also been used to treat digestive ailments. Cardamoms -- Relieves flatulence, helps with digestion and eases nausea. The spice has also been used to help combat the common cold and reduce chills. Fennel -- Fennel has aromatic and calming properties. Tea made from the fennel seeds is used to ease flatulence in children and may help to ease menopausal symptoms in women. Cinnamon -- A source manganese, fiber, iron, and calcium, several studies suggest that cinnamon may have a regulatory effect on blood sugar. The spice is also thought to help reduce yeast infections.